Synopsis: 'Lucy's Bedtime' is an original story about a girl and the loss of her dad. During this film she discovers how to go on without him by her side. This is the second musical by Dana Stockton. 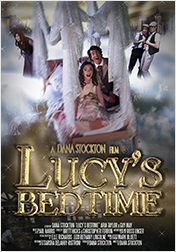 Named 'Lucy's Bedtime', it has fantastical, theatrical themes, as expected from this theatrical director. Synopsis: 'Norvald The Normal' is based off a poem written by Dana Stockton. 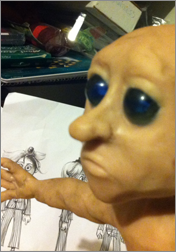 It is set to be a stop-motion animation with miniature sets and armatures. Dana stockton is a film director, producer and writer from Melbourne, Australia. Its much more than just one guy, however, it's one guy with a passion, who heads an ever changing team of many skilled and dedicated artists, actors, film crew, and many more people for various short & feature films. At the age of 24, He first started playing around with his brothers video camera as a teenager and as been involve with film of all kinds since. After finishing high school he went onto study 'screen and media', where he finished two years later with high acclaim. He is now focusing on developing films of all kinds in creative ways. Over the years he has developed a unique and noticeable style, as stated by dana stockton - “You will never see me do a 'rom-com' or a straight forward drama. Not that there's anything wrong with these, just for me, it's about creating the unseen, escaping reality”. Dana Stockton, with his vivid imagination and signature film style aims to continue to develop film as an art form. In early 2012, at the age of 22, he began work on his first Feature film, named 'Lucy's Bedtime', which is due to be completed in mid 2014. Please fill out the contact form below to contact me. Copyright © 2014 Dana Stockton. All rights reserved.